Zack Shaffer is a wheat farmer in Jetmore, Kansas. He’s runs 200 head of cattle. He lives with his wife Renee and their new son, Henry. Zach grows wheat because, in his words, “wheat is hard to kill.” I guess when you live in western Kansas and you want to grow something, you better grow something hardy. Anyway, when Zach’s not farming, he’s making furniture. He works pretty much round the clock. To be honest, I can’t tell if Zach is an amazing furniture maker who farms, or an amazing farmer who makes furniture. All I can say for sure is that Zach made me a rocking chair. It arrived at my home today. It’s made of solid walnut, and it’s stunning. 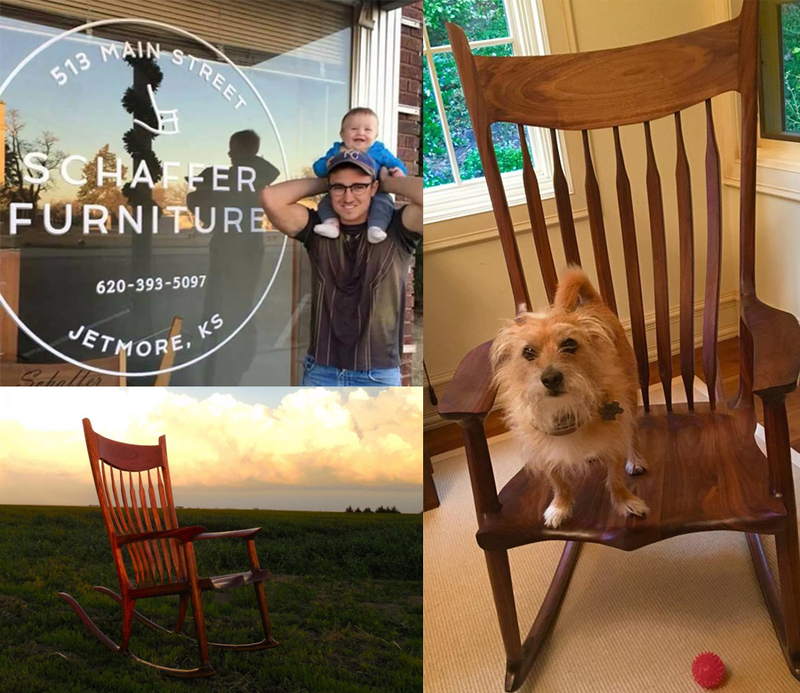 Who says “no” to a handmade rocking chair? I’m not only humbled by Zach’s gift, I’m blown away by his craftsmanship. Here’s a young man, raising a family in America’s heartland by growing the food we eat, and making something as beautiful as it is useful. By hand. Once piece at a time. A guy whose job and hobby are so closely linked I can’t tell the difference. I called Zack Shaffer this morning to thank him for his gift. He was impossibly gracious. We talked about the skills gap. We talked about his grandparents, Dan and Ruby. We talked about the challenges of farming, and of furniture making. I’m posting a link to his site because I think he does amazing work. And also because I think the world would be a better place with more rocking chairs in it.